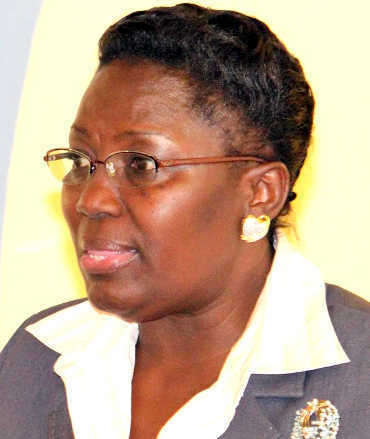 The Speaker of Uganda’s Parliament Rebecca Alitwala Kadaga argues that the poverty and underdevelopment of Busoga region has more to do with a deliberate government policy which she says has sidelined the region from partaking of the national cake. However, Hassan Kiti, the NRM chairman for Nawandala Sub County attracted ululations and applauses when he said the speaker had garnered enough experience and expressed her charisma to occupy the highest seat. “You should not be distracted by the recent decisions by the NRM legislators, of course they all had no escape root but to blindly sign the paper which is not binding in anyway, the example you have so far portrayed is admirable and cherishable the world over” Kiti said. His comment which was reechoed by Iganga District speaker Herbart Kisame was not underestimated by Iganga Woman MP Olivia Kabale Kwagala who responded that those where Kyankwanzi decisions but they are now out of Kyankwanzi to agree with their electorates on the best options. During the function, First African Bicycle Organization (FABIO), a local non government organization also offered 160 new model bicycles to the VHT to ease their mobility in execution of their services. “We work all the time but unfortunately we need our families to survive and besides we also need to eat while working, all this needs to be incorporated in the national budget” Mr Baale said in a report. However the programs Director FABIO Patrick Kayemba lashed at Uganda revenue authority for levying heavy taxes on the bicycles which were being imported to benefit community workers. “We would have acquired about 300 hundred bicycles but in what appears to be a calculated move by the government to fail us from supporting the local communities, the bicycles were taxed heavily prompting us to share the cost with the beneficiaries and securing only few” Mr Kayemba said.